With the Maldives currently in the middle of a surge in the tourism industry, countless top-class properties are being planned in the country. 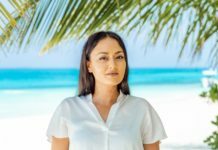 The Maldivian government announced plans that will widen the already huge hospitality industry with more than 120 resorts in the making. Some very notable ones are set to open even this year. 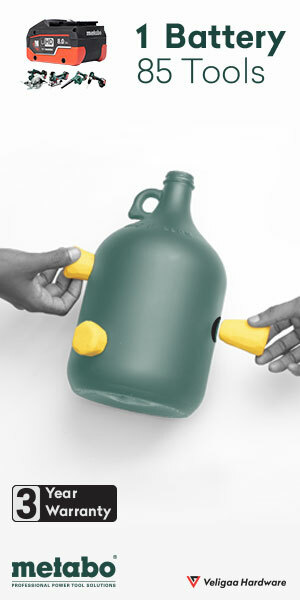 These include world famous brands making their debuts in the country with new and fresh ideas. Here we will be taking a brief look at a few of the most eye-catching resorts set to open in the year 2019. 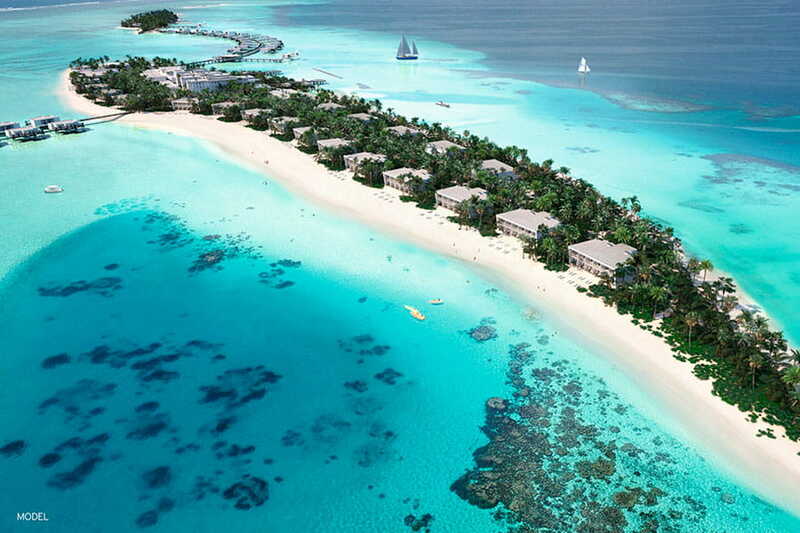 First up is the notable Baglioni Resort Maldives. With deep Italian roots, the resort is scheduled to open in the first quarter of 2019 and will feature 96 rooms including beach villas, water villas, garden villas, grand pool beach villas, suites, water villas with pool and a top class presidential villa. The resort hopes to stand out as one of the top openings of the year by providing the famous Italian hospitality experience in the Maldives, from food and wine to the very products used at the resort and has entered into partnerships with famous Italian brands such as Ferrari Trento, Gozzo Aprea Mare, Frette Linen, Insium Spa Products, Cassina Forniture, Mc2 Saint Barth and more to ensure this. The dining experience at Baglioni is also inherently Italian, from breakfast to dinner, the resort will offer an array of food and drinks to delight even the most exclusive international clientele, all along the lines of the resort’s signature Italian style. A pool bar and grill alongside three superb restaurants will serve gourmet dishes alongside a healthy menu. Sophisticated and cherished Italian cultural customs such as aperitivi sessions beside wine tastings and personalised private dinners are some of the few reasons why so many are eagerly waiting for this resort to open its doors. The soon to be the pearl of Centara Hotels & Resorts in the Maldives, Centara Grand Muthaafushi is scheduled to open later this year. 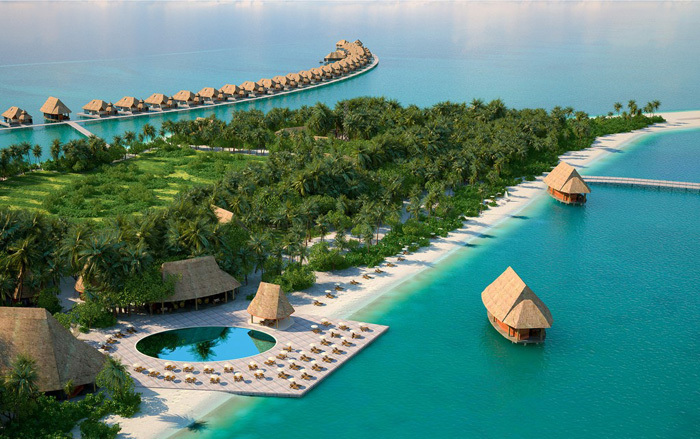 Centara Grand Muthaafushi Resort & Spa will be comprised of a total of 101 land villas and water villas. 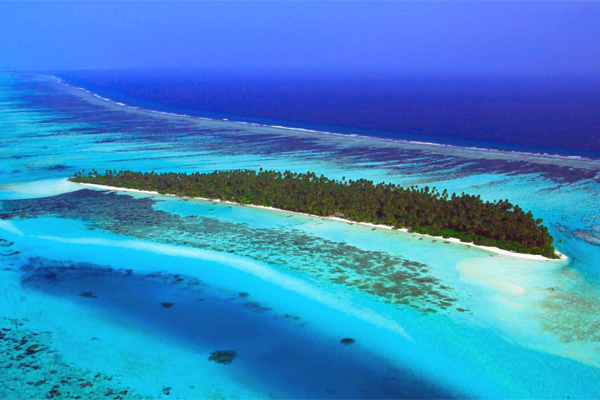 Located in the tranquil Baa Atoll, a UNESCO World Biosphere Reserve, the resort is in the immediate vicinity of a world famous ecological site, providing the perfect playground for underwater photography enthusiasts, nature and ocean lovers. The resort will be home to multiple international top class restaurants, one of which will include an exquisite underwater restaurant. A floating cinema, a Thai Spa, a fitness centre and several other facilities are also expected at this resort. 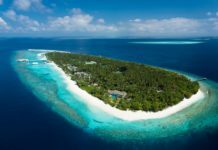 The world famous Dream Hotel Group, the New York-based hotel brand and management company is developing The Chatwal Maaga Maldives in North Ari Atoll. Every corner of the Maldives has been described as a haven for tourists seeking to enjoy nature and its beauty and North Ari Atoll is no exception. North Ari Atoll is home to some of the best dive spots in the country. Chatwal Maaga Maldives will be in close proximity to more than 23 well-known dive sites and at least one shipwreck, which is expected to increase the resort’s popularity among divers and underwater enthusiasts. The resort will come with 80 ultra-luxury villas, six private beach villas and two exquisite presidential villas. The three gourmet restaurants will allow its guests to have world-class culinary experiences in a luxurious tropical paradise. These are some of the many features that will make Chatwal Maaga Maldives a resort that provides its guests with the perfect balance between luxury relaxation, recreational activities, fine dining experiences and breathtaking displays of Mother Nature. True to the name, Emerald Maldives Resort & Spa, opening in 2019 is set to have 60 beach villas and 60 over-water villas that can only be described as the ultra-luxurious and refined jewel of a resort. Developed on the island of Fasmendhoo in Raa Atoll, the resort will be operating under a brand from the global hospitality consortium Leading Hotels of the World, which can only lead to anticipations that its class and quality will stand out on the global scale. Emerald Maldives will offer its guests over 20 hectares of land and 100 hectares of crystal clear lagoon water. The resort will have four restaurants dedicated to serving various cuisines and culinary delights to its guests. Just 40 minutes away from the capital Malé City it will certainly widen a few eyes when it makes its debut. 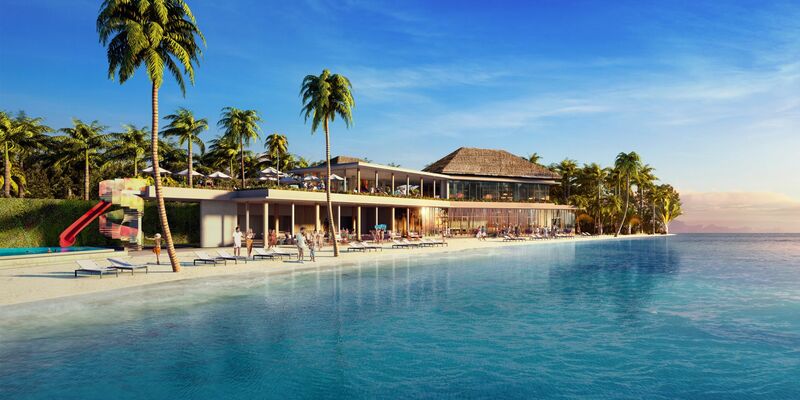 Hard Rock Hotel Maldives is another name that is set to debut in 2019 in the Maldives. Located on the first integrated resort destination in the Maldives, a mere 15-minute boat ride from Velana International Airport, it will offer direct access to The Marina @ CROSSROADS, which is in itself an entertainment island with dining and shopping outlets. Taking inspiration from the tropical surroundings, the resort is set to incorporate authentic notes of regionally-inspired music memorabilia throughout. Waiting for the guests at the resort will be a variety of spacious guest rooms that will include suites, villas and overwater villas. Hard Rock Hotel Maldives will boast a total of 178 expansive guestrooms, family suites, beach villas and one- and two-bedroom overwater villas. 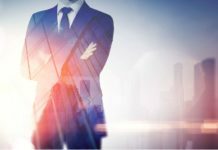 The resort also takes pride in the fact that it will be fully equipped for families, business meetings and trips and even a destination wedding party for those seeking it. Hard Rock International is a globally recognised world-class entertainment and lifestyle brand and this will be the first time that the company will be dipping its toes into the crystal clear waters of the Maldives, which is why it’s going all out with the Hard Rock Hotel Maldives and Hard Rock Café Maldives. One of the biggest hospitality brands in Spain, RIU Hotels & Resorts will also make an entrance to the Maldives in 2019. A popular brand in the Caribbean, RIU Hotels & Resorts will unveil two properties in the Maldives. The first one is the Hotel RIU Atoll located in the island of Maafushi in Dhaalu Atoll, which will provide a total of 264 rooms with spectacular sunset views over the Indian Ocean. 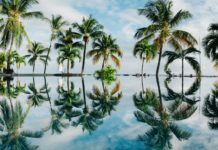 Taking the experience it garnered in the Caribbean, RIU will incorporate everything that made the brand so popular in the Caribbean to the Maldives. Jacuzzis, spas, gyms and all the modern amenities one can come to expect from a world class brand such as RIU will be available at the resort, with luxurious fresh-looking décor and privacy being the main focus of the company. 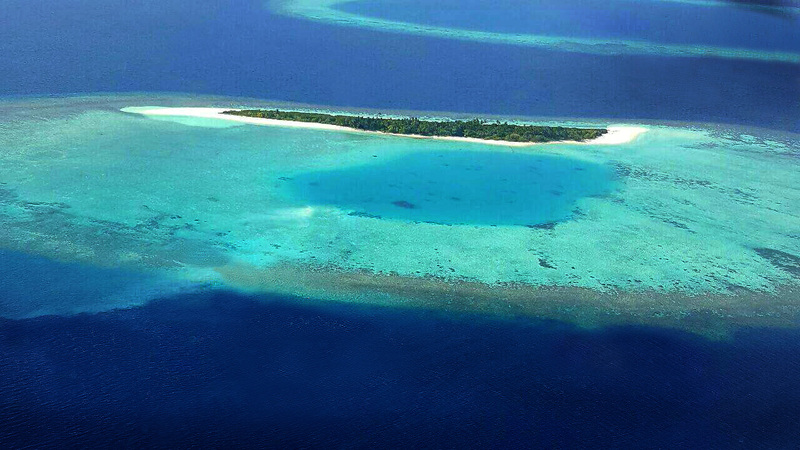 The pristine island of Kedhigandu, Dhaalu Atoll, will be the home of Hotel RIU Palace Maldivas. Connected by a walkway to the neighbouring Hotel RIU Atoll, its close proximity to the island of Kudahuvadhoo, home to a domestic airport, making transfers to these two resorts a breeze. 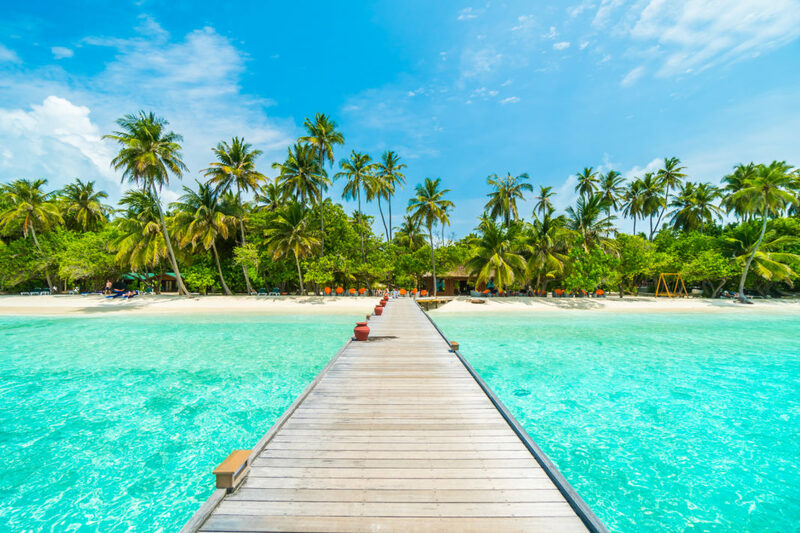 Widely recognised as one of the best destinations for holidaymakers and honeymooners throughout the world, the Maldives will be a completely new venture for the Spanish hotel and resort giant as it wades into the crystal clear waters for the first time. Guests will be spoilt over the choice of gourmet, Asian and Italian cuisines in the Krystal, Yu Hi, Sofia, Palm and Dhooni restaurants along with three different bars and a Beef Steakhouse also on the offer. The Hotel RIU Palace Maldivas will have 176 land-based villas with direct access to the sea, and exquisite water villas with a private terrace and stairway leading to the sea, some equipped with their very own private pools. Another property that is set open your eyes in 2019 is the JW Marriot Maldives. Promising a sophisticated, yet culturally integrated retreat within the paradise island nation, this will be the first resort by JW Marriot in the Maldives. Set on the island of Vagaru in Shaviyani Atoll, JW Marriott Maldives will be the perfect destination for leisure travellers to experience “a piece of heaven on earth”. The resort features 61 beach and overwater villas each with its very own private pool among other modern amenities. Culinary options at its multiple F&B venues include the all-day dining restaurant Kaage serving an international fanfare of culinary delights from around the world with the Wine Room being its own oenology of both new and old world wines. Raha will offer the freshest and best of Italian cuisine, while the Rum Bar & Kitchen will come with the tantalizing Thai cuisine. Farumas will provide the delicacies of Japanese Teppanyaki from both below and above the water line while Lonu will offer the luxuries of succulent crustaceans and prime aged grain fed cuts. 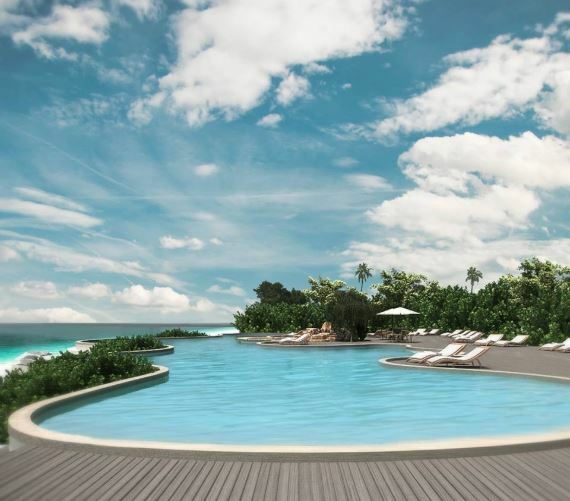 AccorHotels is once again preparing to dazzle the industry with yet another Maldivian hotel. 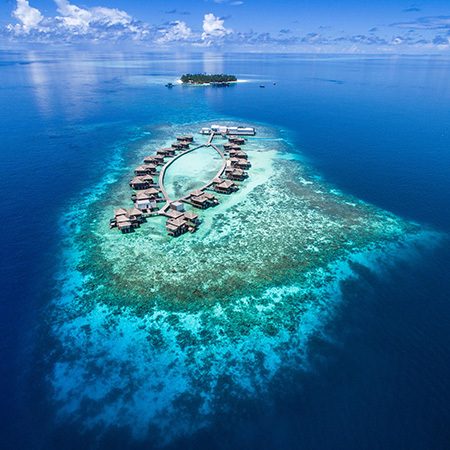 On the gorgeous, unspoilt island of Maamutaa which spans 195,000 square metres, Accor is set to open the Pullman Maamutaa Maldives in late 2019. 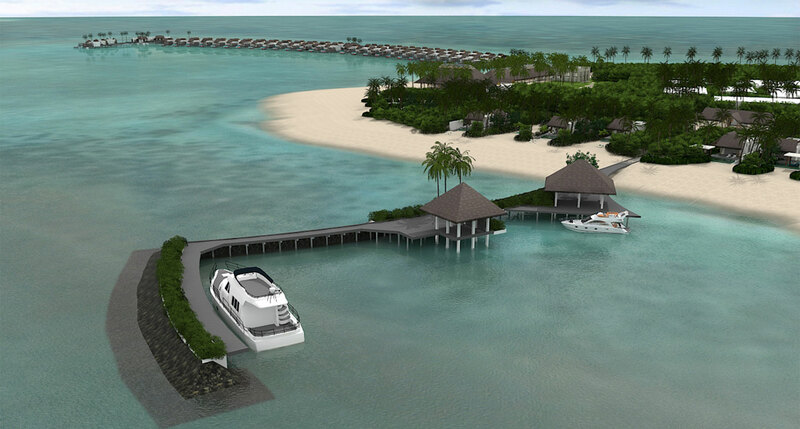 With 120 villas, including 80 over-water villas and 40 on the beach the resort will be a “one-island, one-resort development” located just 10 minutes by speedboat from Kooddoo Airport. 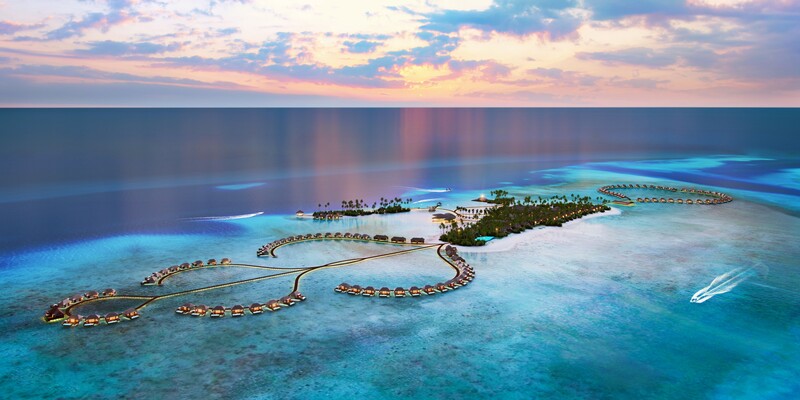 Pullman Maamutaa will be one of the most modern resorts in the Maldives when it opens and will offer guests five-star services and facilities including 80 spacious overwater villas and 40 villas dotted around the pristine beach. Two swimming pools, a lounge, an all-day dining restaurant, a speciality restaurant, a sunset bar perched over the lagoon, a spa and fitness centre, organic gardens, tennis courts, kids club, a beach playground as well as a dive and water sports centre will certainly make Pullman Maamutaa a spectacular getaway. 2019 will be a year that many international brands make their debut into the country and Radisson Blu is no exception. 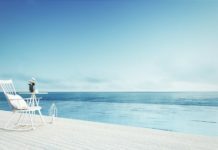 Scheduled to open in the first quarter of 2019, the Radisson Blu Resort Maldives will be the first property of the brand in the popular tourist destination. The resort is being developed in Alifu Dhaalu Atoll, just 30-minutes away from Velana International Airport by seaplane or by a domestic flight from the Maamigili Airport, followed by a 15-minute speedboat ride to the resort. Raffles Maldives Meradhoo is promised to be a rare haven when it starts welcoming its guests in 2019. In its remote location on the southern tip of the Maldives archipelago, it is as far away from the rhythm of the bustling everyday life as can be. Surrounded by crystalline Indian Ocean waters that are home to unspoilt reefs and their incredible inhabitants, the resort will be the perfect place to forget about the outside world. Discreet, intuitive and gracious services with a touch of elegance and luxury in a tranquil, beautiful and pure environment is what Raffles Maldives Meradhoo vows to provide. Set to have a total of 21 island villas and 16 ocean villas with private pools, the resort will also have a private chef service as well as 24-hour butler service. Moreover, the resort will also have an overwater spa, a fitness centre, a cocktail bar and three top tier restaurants to serve its guests. SAii Lagoon Maldives, Curio Collection by Hilton, a luxurious tropical escape is being developed on the stunning Emboodhoo Lagoon, near the capital Malé City. Scheduled to open in early 2019, this particular slice of heaven will be a mere 15-minute speedboat ride away from Velana International Airport. Described as a unique, enchanting hotel, designed by renowned architect Bill Bensley, the resort will provide guests with the unique chance of staying on a private island while shopping, dining, entertainment events are just a stone’s throw across the footbridge at CROSSROADS Island. The 198-room getaway surrounded by white sands and cerulean seas is guaranteed to be an enchanting entanglement with nature and pure luxury. 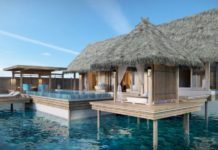 Featuring spacious deluxe rooms, beach villas and overwater villas with inspired tropical designs that are the brainchild of Bill Bensley, it will be one of the biggest new openings in the Maldives in the year 2019. 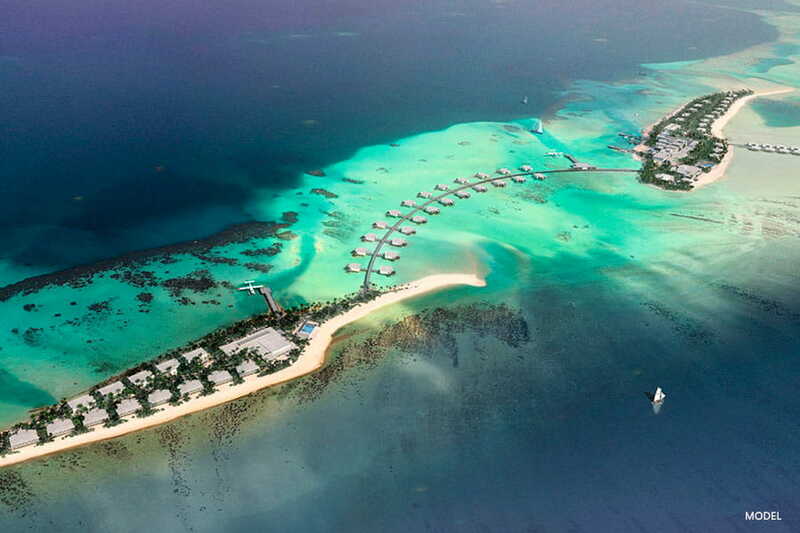 Another venture of Hilton in the Maldives is the Waldorf Astoria Maldives Ithaafushi Resort. One of Hilton Worldwide’s luxury hotel and resort brands, Waldorf Astoria’s newest resort will merge a total of three islands in South Malé Atoll, just 20 minutes away from the main international airport by speedboat. The island will be home to a 138 appealing beach and overwater villas, ranging from one- to three-bedroom villas and a four-bedroom presidential suite. While the company guarantees its guests the utmost privacy and seclusion in their own spacious and luxurious bubbles, it also assures that the experiences involving extensive varieties of dining experiences given at the multiple restaurants and bars along with the recreational activities it provides on the main island will leave their guests flabbergasted. You & Me by Cocoon Maldives, nestled in a remote corner of Raa Atoll in the Maldives, is the sister property of Cocoon Maldives located in Lhaviyani Atoll. Just a 45-minute, scenic seaplane flight from Velana International Airport or a 20-minute hop on a speedboat from Ifuru Airport, You & Me will be a private, rustic and romantic island, in a beautiful, untouched corner of the Maldives. The magnificent Italian hospitality experience provided in a world away from the stresses of everyday life, You & Me is described as the perfect place to relax, curl up, and spend some quality “us time”. This adults-only island is tailor-made for couples, honeymooners and friends searching for seclusion, peace and quiet in a relaxing environment. Five different restaurants along with a world-class bar ensure that those who visit You & Me do not miss out on an amazing culinary experience. 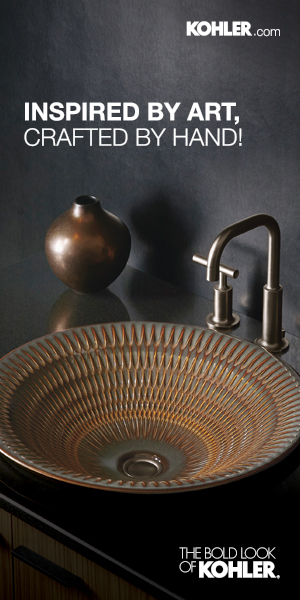 H2O, Green Carpet, The Sand, Rising Sun, Italians do it better… la pasta and the Cheers Bar, even the names of the outlets at the resort indicate a mind-blowing culinary experience.